The ear is a complex structure made up of 3 parts. Below is an overview of how it works. The outer ear – the part that you can see and the ear canal. 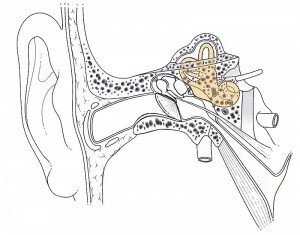 The middle ear – the ear drum and the cavity which contains 3 bones (malleus, incus and stapes) and a tube called the Eustachian tube which leads down to the back of the throat. 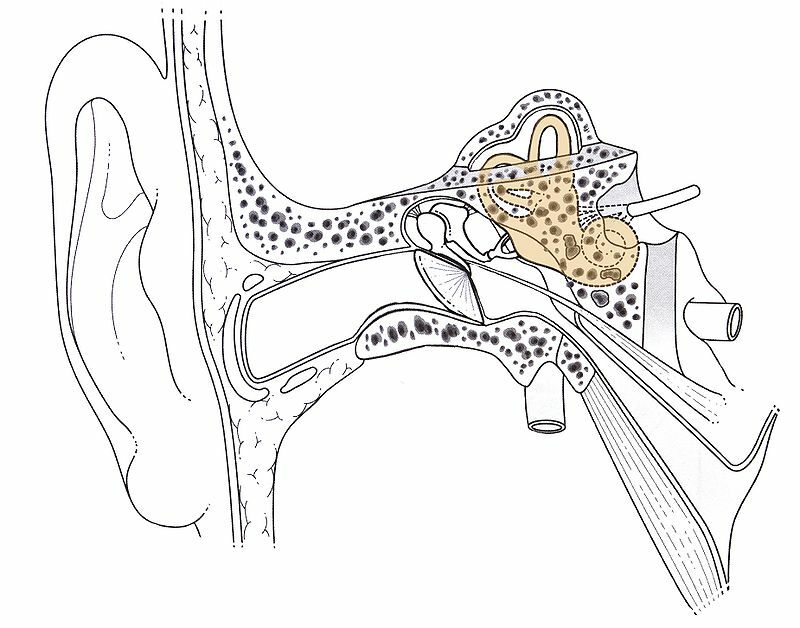 The inner ear – the cochlea which is involved in hearing, and the vestibular system including the semi-circular canals, which are involved in balance. Outer ear: the build-up of wax in the ear canal. If it totally blocks the canal it can cause what is known as a ‘conductive’ hearing loss, because the blockage prevents the sound from being conducted down the canal. Middle ear: the build-up of fluid or catarrh in the middle part of the ear. This can also cause a conductive type of hearing loss. Inner ear: damage or disease in the cochlear can cause hearing loss, which can be permanent – hearing loss from this part of the ear is called sensorineural hearing loss. Damage or disease to the vestibular system can cause balance problems.